Definitive list of North Fleet and Pacific submarines. The hospital ship Birka was also sunk. 23/Apr/42 sunk Norwegian merchant Stensaas (1359 GRT) torpedo. Cargo of ammunitions. ShCh-403 (lost Oct 1943 mine) Received the Order of the Red Banners. 22/Dec/41 while missing a merchant, a torpedo run on the shore exploding and damaging a German observation tower. 1/Apr/42 sunk German merchant Michael (2793 GRT) torpedo. Cargo with iron ore.
5/Feb/42 sunk German merchant Konsul Schulte (2975 GRT) torpedo. Cargo of prefabricated wooden barracks. 26/Jan/42 sunk Norwegian motorboat F-3G Borge (10 GTR) boarded and sunk with gunfire. S-54 (lost Mar 1944 mine) from Pacific Ocean through Panama Channel and Atlantic to reinforce the North’s Fleet. S-55 (lost Dec 1943 mine) from Pacific Ocean through Panama Channel and Atlantic to reinforce the North’s Fleet. 29/Apr/43 sunk German merchant Sturzsee (708 GRT) torpedo. Cargo of iron ore.
12/Oct/43 sunk German merchant Ammerland (5381 GRT) torpedo. Cargo of 865tons of forage, 538tons of oats, 600tons of hay, 361tons of food. and damaged German merchant Wartheland (3678 GRT) with unexploded torpedo during the same attack. It’s considered the only multiple torpedoes-launched attack by a Soviet submarine that scored hit on 2 different targets. 29/Mar/43 sunk German merchant Ajax (2297 GRT) torpedo. Cargo of 538tons of oats and 349tons of straw. S-102 21/Oct/40 Finnish steamer Astrid (602 GTR) rammed by accident, there was no war. Cargo of salt. 14/Jan/42 sunk German merchant Türkheim (1904 GRT) torpedo. Cargo of iron ore.
S-15 24/Aug/44 damaged German merchant Dessau (5933 GRT) torpedo. There was no cargo. Actually Germans didn’t repair her during the war. 12/Oct/44 sunk German merchant Lumme (1730 GRT) torpedo. Cargo of 950tons of prefabricated barracks. L-15 from Pacific Ocean through Panama Channel and Atlantic to reinforce the North’s Fleet. 4/Oct/43 a mine from submarine could have sunk the German submarine hunter UJ-1214/Rau V (354 GRT), but that could also have been a German mine. L-20 1/Jan/43 sunk German merchant Muansa (5472 GRT) torpedo. Cargo of 65 motor vehicles. 1/Feb/43 sunk German merchant Othmarschen (7077 GRT) torpedo. Cargo of 2.070 tons of food. 1/Jun/43 sunk German military hospital ship Birka (1000 GRT) mine, 105 wounded soldiers killed. 1/Sep/43 badly damaged German merchant Rüdesheimer (2036 GRT) torpedo. Ship didn’t sunk and run aground because of cargo of timber. Not repaired until the end of the war. 28/Dec/43 a mine from submarine could have sunk the German auxiliary minesweeper R-64, but that could also have been a German mine. K-1 (lost Sep 1943 unknown cause) Scored the good result of 8 victories, second best submarine of North Fleet. 8/Nov/41 sunk German merchant Flottbek (1930 GRT) mine. Military cargo. 26/Dec/41 sunk Norwegian merchant Kong Ring (1994 GRT) mine. 257 German soldiers carried were killed. 8/Apr/42 sunk German merchant Kurzsee (754 GRT) mine. Cargo of food. 23/May/42 sunk German merchant Asuncion (4626 GRT) mine. Cargo of 2.454 tons of food. 12/Sept/42 sunk German merchant Robert Bornhofen (6643 GRT) mine. Cargo of coal. 17/Feb/43 damaged merchant Moltkefels (7863 GTR) mine. Carried soviet prisoners, no losses. Had collected 4 victories before her sinking. 3/Dec/41 sunk German submarine-chaser UJ-1708 Faroeer (470 GTR) gunfire Submarine had engaged in surface battle three enemy ships, the other two escaped after Faroer was sunk. 30/Jan/42 sunk Norwegian merchant Ingoy (327 GTR) mine. Cargo of post. 12/Feb/43 destroyed German merchant Fechenheim (8116 GTR) torpedo missed but run aground. Towed in Germany and not repaired. 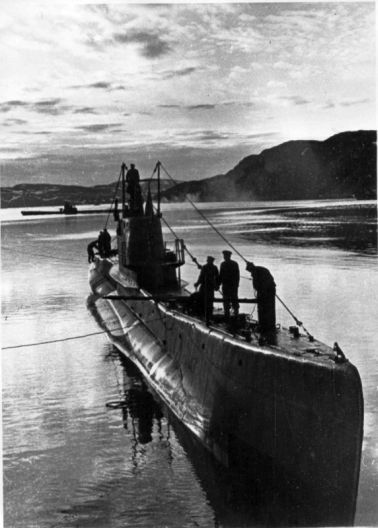 K-21 The second best submarine of the North Fleet, had 7 victories, received the Order of the Red Banner. 21/Nov/41 sunk Norwegian merchant Bessheim (1774 GRT) mine. Carried troops but only 8 KIA. 21/Jan/42 sunk Norwegian motorboat F-223N Ingoy (15 GRT) gunfire. 5/Jul/42 The best-known attack of the submarine. During the Convoy PQ-17 the British Navy abandoned the convoy of merchants, leaving alone the unarmed ships. German submarines and air attacks nearly destroyed the convoy and a powerful German group formed by the heavy cruisers Admiral Scheer and Admiral Hipper, the destroyers Z-6,Z-10,Z-14,Z-20,Z-24,Z-27,Z-28,Z-29,Z-30 and the torpedo boats T-7,T-15 headed by the powerful battleship Tirpitz (sister-ship of the Bismarck) sailed to attack the convoy. The K-21 faced alone the formidable group, launching four torpedoes.Commander Lunin believed to have scored an hit and the German group later turned back without attacking the convoy. The actual results of the attack has been debated and it will be debated for years, however the K-21 achieved a big moral success and its story became well-known in Soviet Union and the submarine and commander were highly praised by the Allied. K-21 danneggia nave da battaglia Tirpitz. Тирпиц. 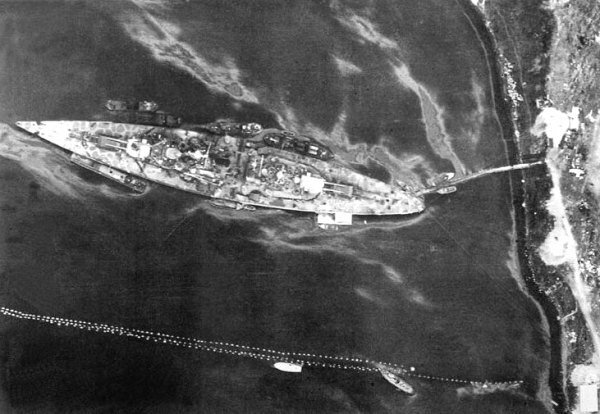 According some sources, this aerial photo of the Tirpitz should show the aftermath of the attack. Western and German sources (and some of the modern Russian sources), states that the K-21 attack was a failure, on contrary of Soviet and some of Russian sources.The final words over the debate will probably never given: it's true that lacks German documents describing the attack, and Germans stated they retreated in fear of still naval British presence. However some details remains true, as the fact that Gestapo tracked and killed the commander Lunin's father for revenge. Reguardless the true results of the attack, the most oustanding result was however a big moral and propaganda victory: the attack was highly praised both by the Soviet and by the Allied press. The moral effects gained were alone a considerable result, in time of war. 20/Feb/43 launched torpedoes against the Lopphavet harbor, listening explosions. Future POWs (took on 12 April) reported that “some” small moored motorboats were destroyed by a mysterious explosion, possibly the torpedoes. However this claim lack of other confirmations..
also boarded the Norwegian motorboat Skrein (70 GRT). Crew was POW, motorboat was abandoned and later recovered by Germans. K-22 (lost 7 Feb 1943 mine ) Received the Guards Badge. and sunk Norwegian motorboat F-76G Borgar (15 GRT) gunfire (Alphar was towing Borgar, carrying fuel). 19/Jan/42 sunk Norwegian trawler/tug Vaaland (106 GRT) gunfire. General cargo. and shelled during the same attack the wrecks of merchants Andromeda and Mimona: both were already considered lost, but according some sources, Mimona still had cargo inside (military coats). 5/Nov/41 badly damaged German minesweeper M-22 (685 GRT) mine. 26/Nov/41 attacked Norwegian trawler Start with gunfire. 7 sailors wounded. 19/Jan/42 sunk Norwegian merchant Sørøy (506 GTR) gunfire and torpedo. Packed cargo. D-3 (lost Jun 1942 mine). 12/Aug/41 claim to have shot down a Me-110C aircraft, Germans admitted the loss but it’s not fully clear if submarine was responsible. Officially scored a number of sinking (from 6 to 8) and received both the Order of the Red Banner and the Guards Badge. However all the attacks were carried in 1941/early 1942 and enemy claim that none ship was sunk or damaged by D-3 actions, despite the submarine received much credits on Soviet Navy at the time. V-1 (lost 27 Jul 1944 British air attack, friendly fire) ex-British submarine, lend-leased by the allied. 12/Oct/44 sunk German submarine-chaser UJ-1220 Zeebrugge (830 GRT) with torpedo. 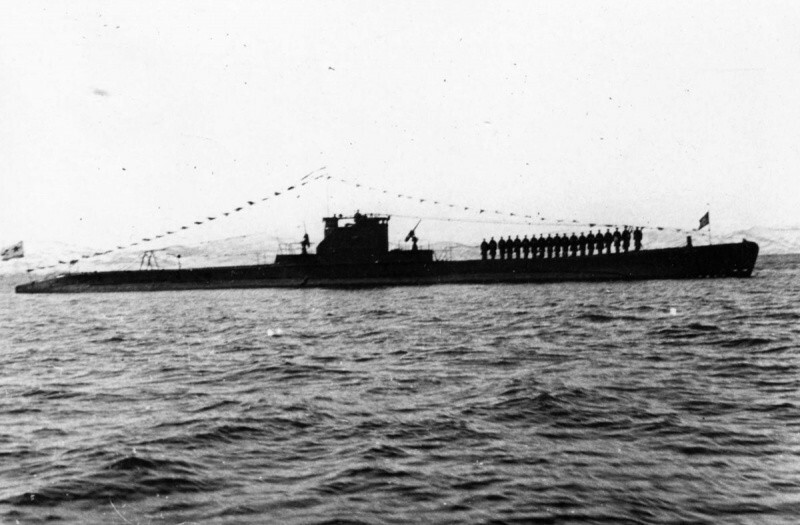 V-3 ex-British submarine, lend-leased by the allied. 18/Oct/44 sunk an unknown ship (perhaps Norwegian) of small size. It was not included in German loss lists due the retreat but the sinking was clearly witnessed by crew of submarine that surfaced, with explosion and sinking of the target. (It’s the only case when a Soviet claim on an unknown ship sunk by submarine without German confirmation that is accepted by modern authors due the exceptional nature of the event). 20/Oct/44 sunk German submarine-chaser UJ-1219 Kuj-I (830 GRT) with torpedo. 16/Mar/43 sunk German merchant Johannisberger (4467 GRT) torpedo. Cargo of 2.042tons of coal and 60 tons of tar. 29/Apr/42 destroyed German merchant Curityba (4969 GRT) torpedo. The ship was carrying iron ore.
were also lost small minesweepers M-5403 and M-5407 carried on the merchant (both minesweepers were locally built boats, there is some lack of data but their loss is almost certain). 29/Jan/43 damaged German merchant Ilona Siemers (3245 GRT) torpedo. The merchant was never again operative because in Germany was further damaged by American aircrafts. 31/Mar/43 collided against a Norwegian motorboat while surfacing. Unclear event. 1/Feb/43 sunk German patrol ship V-6115/Ostwind (560 GRT) torpedo. 22/Apr/42 sunk German merchant Blankenese (3236 GRT) torpedo. No cargo. 21/Dec/41 sunk German merchant Emshörn (4301 GRT) torpedo. Cargo of 3.500tons prefabricated wooden barracks. Total 78 units with 1 loss with 3 ships sunk and 1 damaged. The losses-victories result was 3. Enemy military ships lost include only the large auxiliary gunship (Shinko Maru n°2) that was damaged The other victims were 3 units: a merchant, a cable-layer and a motorboat sunk . ShCh-102 in 1938 seized what seemed to be a Japanese trawler but was found to carry mines. Few detail of this event. ShCh-126 21/Aug/45 sunk a Japanese motorboat with gunfire. 22/Aug/45 sunk Japanese cable-layer Ogasawara Maru (1456 GRT) torpedo. (375 killed on the ship). 22/Aug/45 damaged Japanese auxiliary gunship Shinko Maru No.2 (2578 GRT) torpedo (533 killed on the ship) and sunk Japanese merchant Taito Maru (887 GRT) torpedo the same day (780 killed on the ship) (the targets carried both civilians and military).